Somebody tell the weatherman it’s Autumn already.. While on the Gold Coast it’s still a balmy 30 degrees each day we are hoping that one day soon it will be time to pull out the winter woollies. 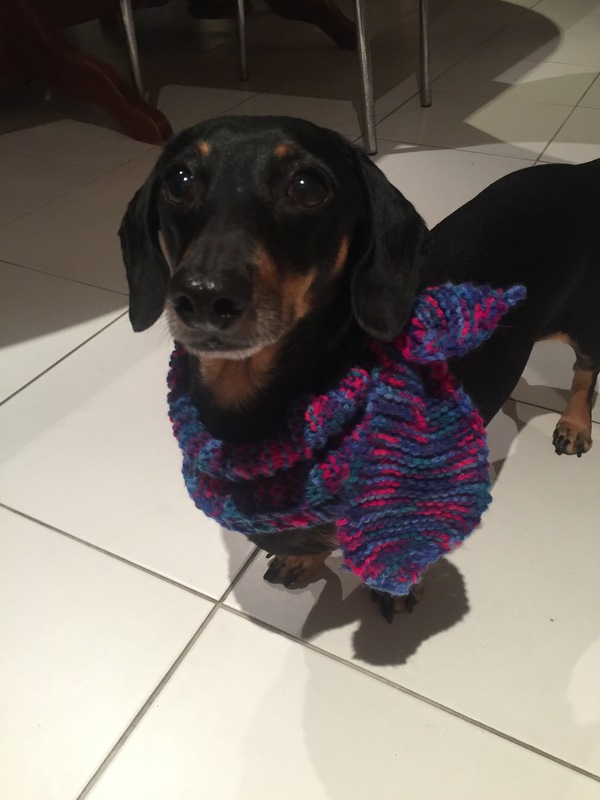 The S&S ‘woof pack’ are testing the Sausage Scarf tonight and I think they like it! 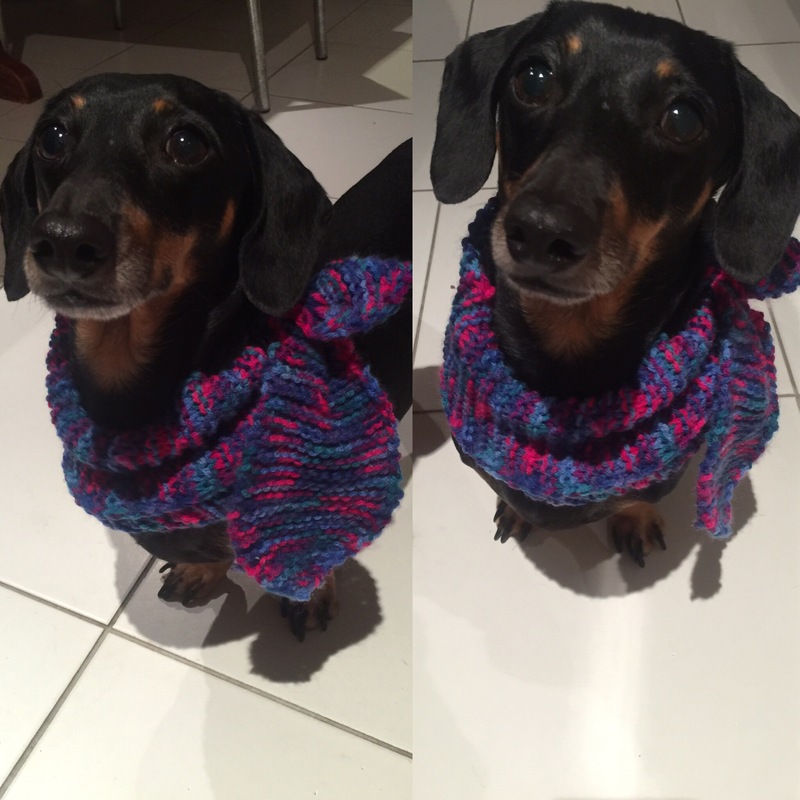 Here’s our newest recruit Petal Sausage making her modelling debut. There will be a limited release of these bad boys in the coming weeks. Knitted with love locally. We would love to know what you think. Leave a comment below.